AVAILABLE NOW. 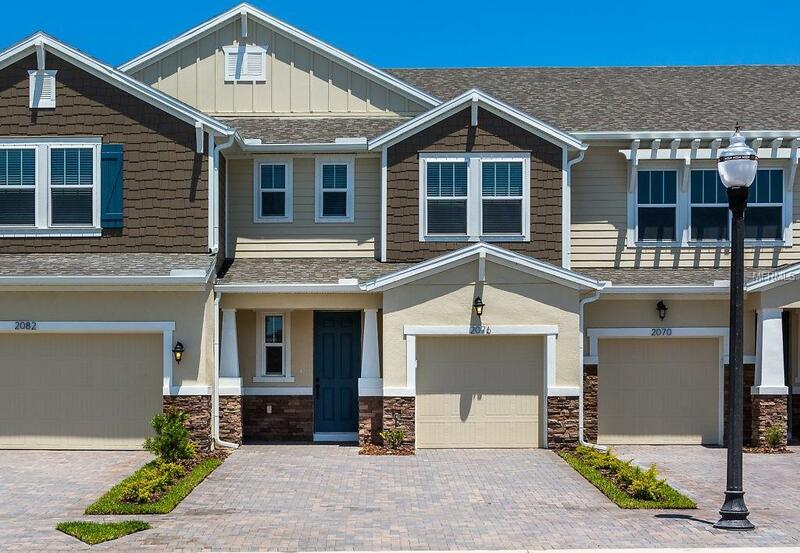 Located at the front of the community, this townhome features an open-concept first floor and a 1-car garage. Enjoy relaxing evenings on the rear lanai with an extended patio. This home includes painted Tahoe Linen cabinets with crown molding, Giallo Ornamental granite countertops throughout, Stainless steel appliances with refrigerator, wood-look ceramic tiles on first floor, Dorian Venetian Bronze door hardware and window blinds throughout.